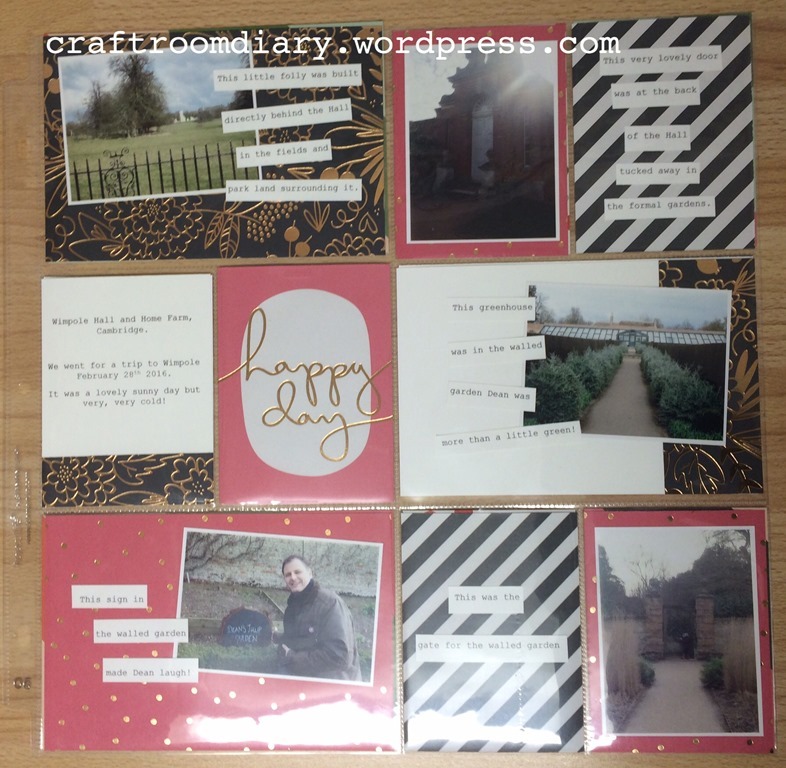 The layout i am sharing with you today is the matching layout for the one i shared previously. It was made using my Like For Ever monthly kit, this months kit focused on My Minds Eye on trend 2 range. This is the first time i have used typing printed from the computer, to do my journaling. I really liked the clean effect it gave, and although it wont replace handwriting on my layouts for me but i will probably use it more for project life style layouts. 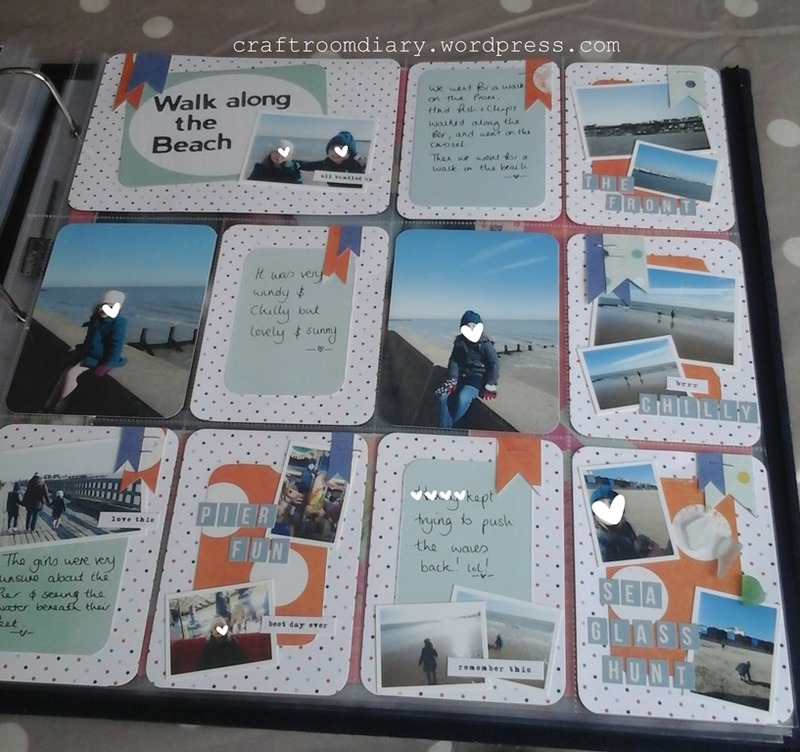 The scrapbook layout i am sharing with you today matches the one i shared before, except this is the project life/pocket style one for my multiple pictures. It uses the same papers, as the previous one. 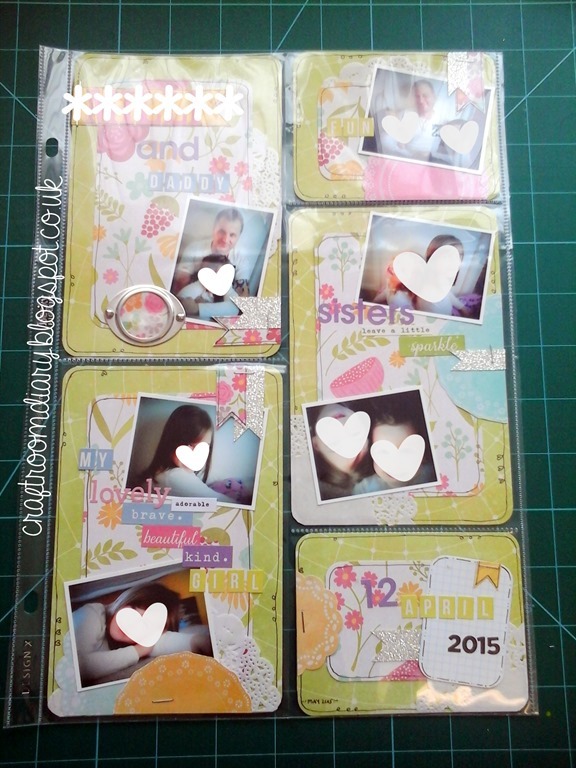 When i do a project life style layout i usually print my pictures smaller using my selphy printer so that i can get multiple pictures on a layout plus i can get 4-8 pictures on one print, meaning it saves me money plus they’re cute 🙂 I made the cards myself using scrapbooking papers using scraps from the other page to embellish and tie them together, i even used some of the sea glass we collected on the page.